We define digital collaboration as the digital systems people use to collaborate internally (within the enterprise network) or externally (with enterprise communities or partners) to get things done. Digital collaboration tools connect people, information, business applications and company communications, transforming your company into a unified, successful business force. 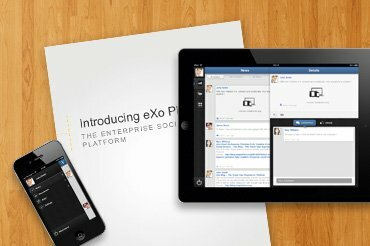 What can digital collaboration platforms bring to internal communications that traditional intranets cannot? We highlight four key points. Employee engagement is one of the top five areas of focus for most internal communication departments, and it is used widely to attach a solid business value to communications. As many as 70% of all business leaders believe employee engagement is critical to their organisation’s success, according to a study by CLC. Digital collaboration makes people more engaged. Our clients report up to 30% improvement in their employee engagement rates, which matches statistics shared by other digital collaboration solution providers. How does it do this? Successful digital collaboration helps people cope with today’s demanding workplaces by allowing them to get help from colleagues when needed and find relevant information faster. As a result, it brings back the feeling of personal control and involvement with the company. It helps employees interact with a wider range of colleagues and form connections throughout the organization. It helps information flows outside the departmental silos and promotes transparency, creating a sense of larger purpose for employees. Traditional top-down communication is easy to ignore—it just sleeps in one’s archived emails, in the corner for one’s screen or in the company intranet that nobody uses. With digital collaboration tools, on the other hand, managers can use multiple channels to relay messages. A message can be posted, reshared and discussed through social activity streams, sparking two-way conversations. Content can be placed in a contextualized environment, targeting precise subgroups and communities of interest. This not only helps get messages and information across better but also helps build trust and make employees feel more aware of what is generally happening in the organization. A corporate culture consists of (often) unspoken rules for how things are done in the company. Together with official processes and systems, it forms the “software” that guides how people in the company work. A company culture is best built and reinforced whenever people interact. To actively build an organizational culture, you need key people to model the right kinds of behaviour. Digital collaboration tools in turn can play an important role in amplifying these behaviors, making them more visible and allowing management to visibly encourage them. 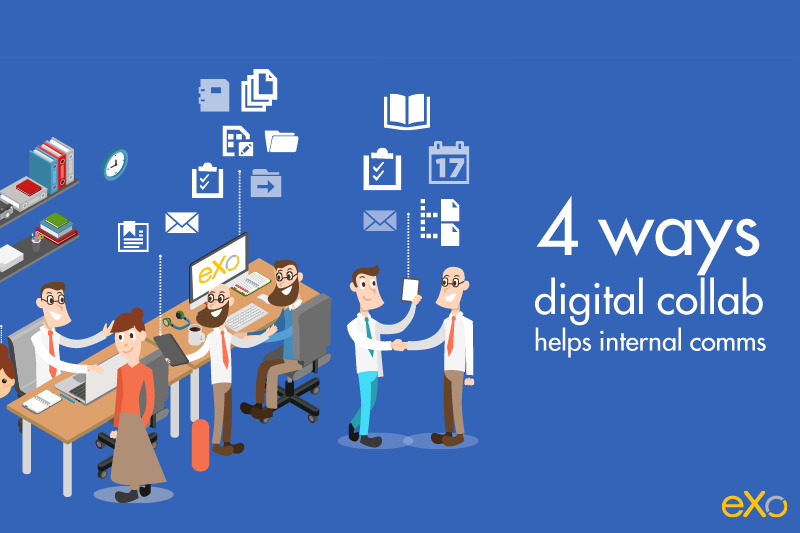 Digital collaboration tools allow people to establish social and work connexions while collaborating on projects and exchanging ideas within communities of interests. Gradually, an active employee community can emerge in which mutual help, knowledge sharing and innovation can thrive. Communicators often find it difficult to prove to management that internal communications have business value because they lack the quantitative and qualitative KPIs to do so. In fact, measuring the efficiency of internal communications is a struggle in most communication departments; over 60% of internal communicators do not measure internal communications at all, and only 16% appear satisfied with their measurement protocols. If users shun your intranet, you probably rely heavily on email and physical supports for information flow. Think of all the time and hard costs associated with this process. How many emails do you send per week/month/year? What about the costs of paper, color printing and physical circulation? Through a digital collaboration intranet, you acquire a strong reach platform for your communications. Your content production will gain in efficiency through collaboration tools and workflows for your team, and digital collaboration tools will improve your communications reach by adding new channels to your usual communications flow. Furthermore, quantitative KPIs, such as reach and engagement, and a direct means to survey your population will become available via likes, shares, comments, followers, total number of connexions between people, content consumption metrics and more. Besides improving your internal communications efficiency, digital collaboration tools can transform your business from the inside out. Want to learn more about the business impact of digital collaboration?